Douglas William Jerrold (1803-1857) was the son of an actor manager. After some time in the Navy and as an apprentice printer he became a playwright and later a journalist. He was a contemporary and friend of Charles Dickens. 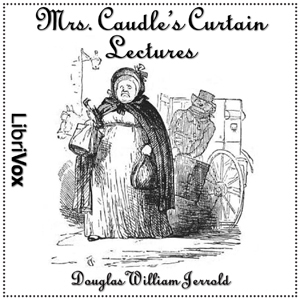 As a journalist he worked for Punch magazine in which Mrs Caudle's Curtain Lectures were serialised, to be published in book form in 1846.